For those who have been reading our blog, you might be aware of our students running a project called Pay it Forward. The idea is doing something for someone else which they can't do for themselves; a little act of kindness if you will. It's something all our Year 11 students do as part of our Social Skills classes and the projects have been as varied as supplying emergency stationery for students taking exams (lifesavers! ), or little motivational notes posted on the lockers of other students. 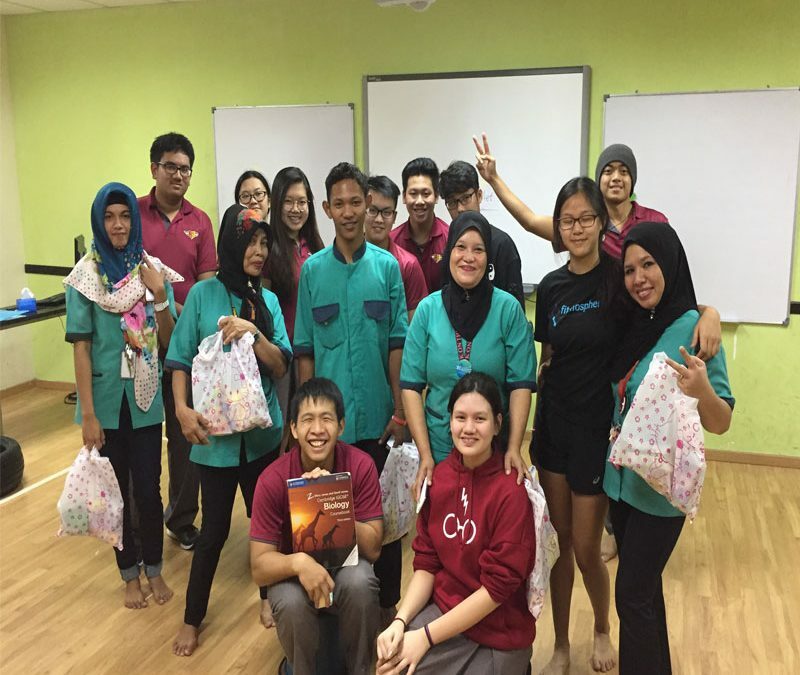 Earlier this year, one class decided their project would be to offer English classes to our incredible cleaning staff, teaching them a few basics to make their lives a little easier in terms of communicating with others. We had written about the project previously and you can revisit the story right here if you like. The students who came up with this project have since graduated, but one class from our August intake decided to continue this fantastic idea and have been running the project for the last 3 weeks. The way it breaks down is that once a week, in this case Fridays, the cleaners catch a break from their hectic duties here and learn English from our students. In turn, the kids are on duty for the cleaners for any eventualities so our cleaning staff can get the most out of the 60 minute lessons. The lessons usually start off with a few simple things, be they useful vocabulary or phrases, wrapped into classroom classics such as hangman or charades. In this particular lesson, the second part of the programme called for a new take on Pepsi-cola 1,2,3 which the majority of us will probably remember from the courtyards during our own school days. Our kids added an extra twist to the game however, where the winner of the little battles would be tasked with picking up items which they had learned the names of earlier (newspaper, f.ex. ), and bringing them to a designated spot named after the most common places here in school, such as library or office. Here are some more snapshots of the day and check in here soon again for the finale of this project which will happen in January next year. Our cleaners had a blast, our kids had a blast and to top it off, another one of our Year 11's had prepared goodie bags with all sorts of snacks to show their appreciation and gratitude for our tireless crews. With the school year now having wound down completely, we'd like to wish everyone a fantastic Christmas holiday and here's to an amazing 2018 ahead! See you here soon again!